One of the best parts of any camping trip is that moment when you retire to your tent. This is where you can truly enjoy the silence and serenity of a night outdoors. The best camping tents give you a sense of comfort without making you feel claustrophobic or constricted. This is why it’s really important to weight all your options when you buy a camping tent. So, we are presenting a list of top 10 Best Camping Tents Review for making it more easy for you in your selection of camping tent. As a matter of fact, this best camping tents list is made with a lot of care and sharing with you for your future use. Before, going for the next purchase of camping tent, you can spend few minutes here to save your time and dollar. Here are our top 10 camping tent reviews. 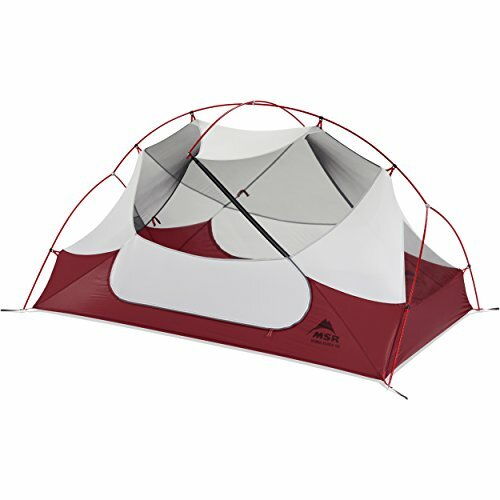 This MSR Hubba Hubba tent is made with couples in mind. It is designed to comfortably accommodate two persons. Given its standards of a small camping tent, the head and elbow space is just amazing. On top of this, the interior of this tent is not tapered at the ends, and this gives the interior a very spacious feel. Another nice touch about the Hubba Hubba tent is the internal storage. On each side of the tent, there is one mesh pocket where you can store personal items. In addition to this, the Hubba Hubba backpacking tent has two large side pouches where you can store your hiking gears without blocking the door access. Unlike other camping tents, the Hubba Hubba tent is easy to put together. Even if you are using it for the first time, the unified hub-and-pole system with color coded clips make it effortless to set up. Additionally, the nearly free standing construction creates an interior space with nearly vertical walls for increased stability. This means the tent can withstand a bit of weather. If you are ventilation conscious, there is more of it. The doors at each side has a large vent and the inner fabric is about half mesh for excellent breathability. Another cool feature is that the vestibules can roll part-way from the bottom to increase airflow. The large interior space makes it one of the best livable camping tents. What is more with this Hubba Hubba backpacking tent is the 2 large personal entrance with built-in gutters and cross-ventilating rainfly which ensures you can go in and out at night without climbing over your partner. It is made to be lightweight and packs down pretty small for convenient backpacking. To spice it up, it comes with an ultra-compact compression sack for hassle free packing. This sack also features a pull handle for efficient transportation. This double-wall dome outdoor camping tent has prioritized on space to ensure 2 couples can enjoy a home away from home. Its 35 square feet space is very livable and comfortable for two adults to sleep and move around. 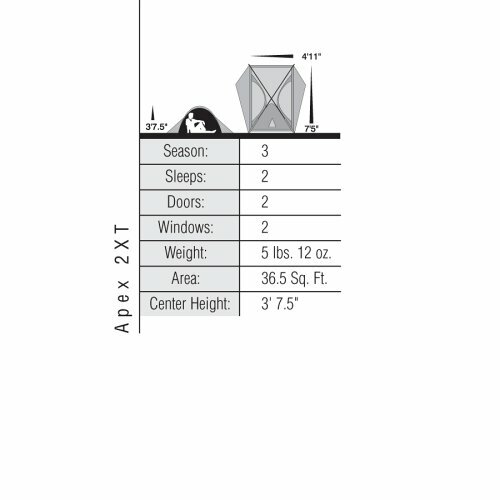 This tent is designed with tall campers in mind as the 92-inch length adequately accommodates campers up to 7 feet tall. It is one of the most convenient camping tents out there. It features 2 large doors which allow easy entry and exit without disturbing your partner at night. The Mountainsmith two pole design and color-coded fly attachment system allow you to set up the tent faster. On top of this, you can quickly refer to the instructions conveniently printed on the packing sack. One of the coolest features of this tent is that it packs down into two bags which allow backpackers to share the load. 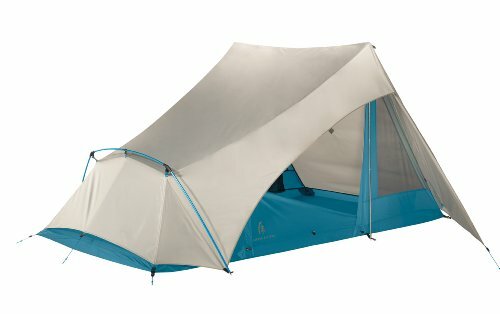 This Mountainsmith tent features a robust construction and the free-standing 4 corner design ensures increased stability. The vestibule zipper is well placed to keep rainwater away from the tent body. In addition, the Mounstainsmith comes with a removable canopy which protects you against weather elements. Storage should not be a concern because the Mountainsmith has 2 seven feet vestibules with enough space for your camping gears and foul weather cooking. It comes with a bathtub floor with taped seams which keep the interior dry. 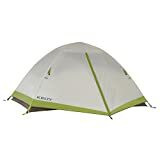 If you are looking for a lightweight and yet an affordable 2 person tent, this Kelty could be a great option. It is well featured for cozy couples who love camping. First, you will love how fast this tent sets up. The most amazing thing is that even one person can put it together so fast, thanks to the color-coded clips. Again, the simply crossed poles snap quickly to the tent saving you a lot of time. And with a self-standing design, this tent can be located in any spot. The construction of this tent is out of this world, the inner tent and the rainfly are separate. The inner tent is made of a mesh for better airflow and it is spacious enough for sleeping couples and their gears. Notably, the floor is long enough to accommodate tall campers with their sleeping bags. The rainfly drapes over the inner tent creating the front vestibule and the dual doors. Interestingly, the fly is completely seam sealed to improve water resistance even when it rain. The Salida has plenty of gear loops on the inner side where you can hang lightings. What set it apart from other tents is that it provides a gear loft that is important for drying out your gear. On a windy night, the Kelty backpacking tent provides a quiet ambiance, thanks to it is noiseless zipper pulls. 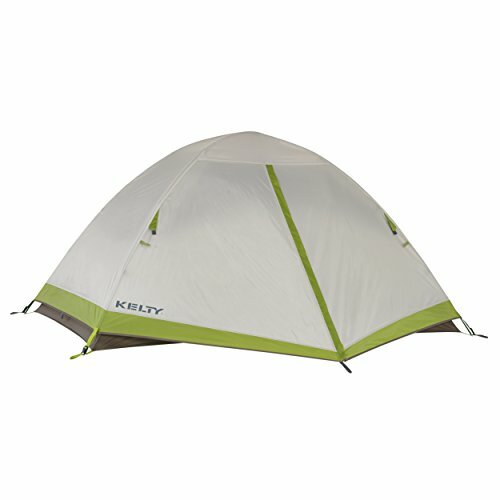 The Kelty Salida back packing tent packs down into a small flat package for easy and convenient storage. Being made of aluminum poles means that the tent is strong and lightweight. Another great option if you are looking for a spacious 2-person camping tent. One thing about this tent is that it does not break your bank and does not beat corners in any aspect. It has a 37 square feet floor inside that amply accommodates two adults. Outside each door, you will find two vestibules which are good for storing your gears. That is not all without talking about the gear pockets on either side of the tent where you can store a book and other small items. The Lynx features a simple two-pole design for quick assembly. Again, the pole clips snap quickly over the tent poles this means that it won’t take long to get the tent ready for use. If you are the type that wakes up often at night, you will have your door so you don’t have to wake your partner. Another cool feature with the Lynx is that it is weatherproof so it will keep you dry no matter the weather out. Thanks to the heavy duty rainfly. The rainfly has dual vents for increased ventilations even when it is completely zipped, this prevents overheating. It also has windows that allow you to see what is happening outside while relaxing inside the tent. And when the night comes, you can hang the lights on the included loops. The Sundome is a great backpacking tent from Coleman designed for 2 campers. It is spacious enough so couples will sleep comfortably. 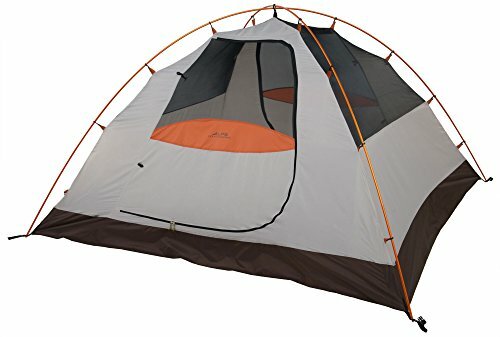 This tent features a large door for easy coming and going without climbing on your partner. Besides, there is a hooded fly that ensures proper ventilation even when it is raining. Furthermore, the fly is made from polyester which is very sturdy and won’t stretch even when wet. It has a rugged 1000D polyethylene floor with a bathtub style that ensures maximum weather protection. That is not all until we talk of the welded seams in the corners that keep totally free even in wet weather. Like other camping tents, the Sundome is easy to put up and bring down thanks to its freestanding design and shock corded fiberglass. And like other camping sites, set up instructions are also printed on the carry bag. The fly and the walls of this tent are coated with rugged and durable fabrics. The Sundome also have external guy points to keep it stable in storms and high winds. To enhance the ventilations, there are 2 windows and roof vents that reduce condensation and ensures you relax comfortably. Also included, is a vented cool Airport to ensure you keep cool. It also has a zippered electrical access port through which you can run AC power inside the tent. This classic tent is fire retardant. The Eureka 2 person 3 season tent was designed with convenience in mind. For easy entry and exit, it has two D-shaped doors. The dual doors means a non-interrupted sleep. Besides, there are twin track zippers that allow for independent operation of the windows. 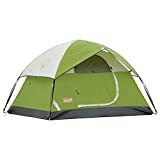 It is one of the best means for backpacking and camping if you are looking for something that won’t break the bank and still performs excellently. Its 36.5 square feet floor accommodates two adults. Again, it is a great tent for tall campers. This tent for two has a sturdy construction which ensures it withstands weather elements. The fabric from which the tent is made from is rugged and waterproof. Therefore, rain should not bother you since there is a full coverage fly which is double coated with a StormShield polyester. The Eureka backpacking tent prides itself for enhanced ventilations supported by the zippered mesh windows in the doors and the 2 mesh panels in the ceiling. These ensure maximum thermal efficiency. Another reason why this tent is great for camping is the full vestibules on either side. The vestibules are 6.7 square feet each and this provides enough space for storing your gears. On top of these are 2 more internal pockets. If you are camping in a stormy area, you don’t have to worry about the winds, the external guy points on the waterproof fly secure the tent to prevent overturning. This backpacking tent is lightweight and therefore easy to carry along. unlike most of the ultra-lightweight options that are not freestanding, the Eureka comes with a shock-corded freestanding fiber grass frame which means it is a breeze to set it up. This dome-shaped tent is made of durable fabrics and the aluminum poles making it are strong. It also feature a rain fly made from polyester and this ensures that the tent is rainproof. Moreover, the rain fly and the floor seams are fully sealed for efficient operation. 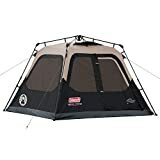 It is a breeze to set up this tent because the shock corded fiberglass frame connects to the tent with all its clips. Again its freestanding design also make its assembly quick and fast. Like most 2-person backpacking tents, the Alps features 2-doors and 2 hooded windows. The doors ensure easy entry and exit while the second door provides good ventilation on a hot and muggy weather. The windows let you see what is going on outside and allow ventilation even when it’s raining. To counter the problem of condensation, this tent has a lot of mesh on most of its parts. The mesh offers superior ventilation. Correspondingly, the walls are uncoated for breathability. Privacy is catered for especially when camping as a group or in a public area since the storm flaps can be closed. While most tents have problems with the zippers, the ALPS stand out with larger zippers this ensures that they don’t break so easily. Also included in this tent are the mesh storage pockets and the gear loft which allow you to store your loose stuff in an organized way. The icing on the cake is that you can always return the tent to the manufacturer within 30 days of purchase should you find it uncomfortable or not working. Like its name, this instant tent takes less than a minute to assemble and everything is set for you to enjoy the outdoors. This is made possible by the poles that come pre-attached to the tent. Its ability to set up quickly means that it is user-friendly and you don’t need a whole day to put it together, something that makes it a perfect choice. Ventilation is enhanced in this tent to prevent condensation build-up. The rainfly is vented to increase breathability. The Coleman tent is waterproof and integrates a Weather Tec system technology that prevents leakage. In addition to this, this Coleman tent comes fully taped and this eliminates the need for an extra rainfly. 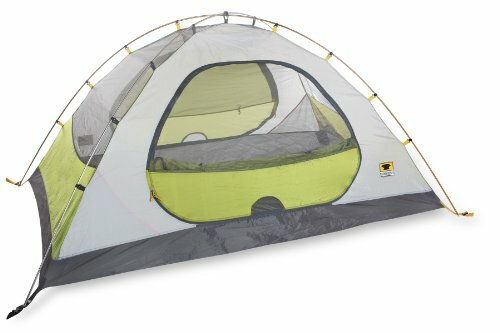 What sets this camping tent apart is the fact that it comes with a cold weather sleeping bag large enough for 4 people. Moreover, the sleeping bag is machine washable and this means it won’t take much time cleaning. Another great feature of the Coleman is that it is well lit. It comes with a built-in magnet that provides lighting at night this saves you the hassle of looking for fuel. It also comes with large windows that let you see the outside while relaxing. Other than lighting, the windows also improve ventilation. This tent has a spacious interior with lots of room for couples and gears. As a result, couples can sleep comfortably with their kids. The Browning is a two room camping tent with a robust construction. This tent has a combination of fiberglass and steel uprights that makes it strong. Again, the fabrics making this tent are coated with a 2000mm polyester which means you will keep dry even when it rains. It is one of the best camping tents on the market. This tent is designed with family camping in mind. The large interior space will comfortably accommodate up to 8 people. The walls of this tent are straight and this creates a spacious feel. Important to note is that the dome roof is high enough and this makes it a great choice for tall guys. For easy movement in and out of the tent, the Browning tent has 2 doors. 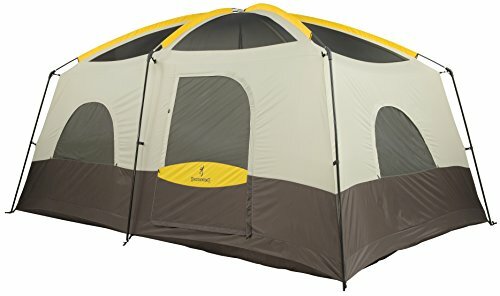 The 2-room 2-door construction makes this Browning Camping tent one of the best options if you are looking for something that caters for your privacy. 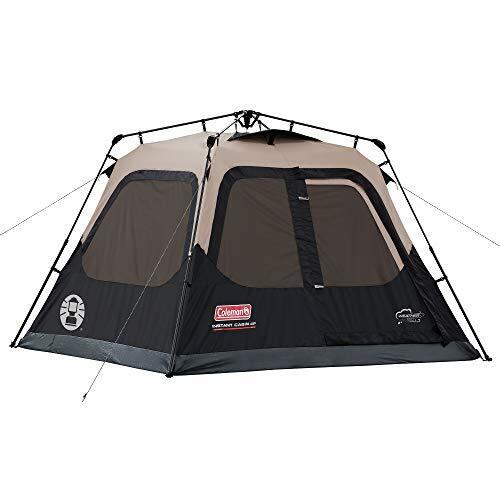 Another feature that makes this tent a great choice for family camping is the large 6 windows that other than lighting the tent improves the ventilation. The seams and fly of this tent are factory sealed to provide extra wet weather protection, this means you can camp even on wet grounds. It has one of the most durable floors. When it comes to set up, this tent uses a tri-pole freestanding design which makes it quick and fast to put together. For this reason, you don’t need several hands to get everything set. It also has mesh storage pockets that let you store your small stuff. Finally but not the least, this Browning tent is a durable option as all the materials used are of high quality. The Sierra Designs 2 person tent is one of the lightest options you can find on the market and for this reason, it is incredibly great for backpacking. Unlike a majority of camping tents that have a freestanding design, the Sierra Designs is made to be used with trekking poles. However, this tent is a breeze to assemble and you don’t need a rainfly. It is made from a fused hybrid double wall design that allows for easy and worry-free pitching. On top of this, this double wall reduces the weight without compromising the build quality. The doors of this tent have double layers with a waterproof panel and a mesh layer. For convenience, you can unzip the waterproof panel to expose the mesh door for ventilation and visibility. Furthermore, each door has an awning about 8 inches long that keeps the doors open even when it is raining, this increases breathability. The awning also provides a dry entry into the tent. There is ample headroom for two campers. On top of this, the luxurious wide floor creates a very livable shelter far beyond what most backpacking tents provide. Included in this tent are two gear closets that provide enough space for stowing your gears to the side of the doors. This ensures you don’t climb over you gears when entering or exiting the tent. Why you need a camping tent? If you love hiking, the next best thing is moving on from day trips to camping. Nothing compares to a few days on the trail, close to nature and with none of the outside world buzz to bother you. Sometimes, making the leap from day hikes to camping trips can be a bit overwhelming. All of a sudden, you will have to do a lot more planning and you need more serious equipment. When you go out for a 2-3 days camping trip you need to make absolutely sure you are well prepared. A good camping tent is one of the absolute must-have on your packing lists. If you never owned a tent, it’s easy to underestimate how important buying a good quality product is. Think about it this way, would you compromise when buying a house? For the duration of your camping trip, your tent is your house. It needs to be sturdy enough to protect you from the elements and it needs to be roomy. You want to make sure it’s built out of fabric that will take some wear and tear. Without a tent, your main options for hikes that are longer than one day is either sleeping in your car or booking a room. Sleeping in your car is uncomfortable and booking a room takes away from the experience. Both options are not always available on trails and can limit your ability to freely plan the perfect hike. Also, owning a tent means less money spent on your trips because you save on gas and accommodations. Another alternative to camping tents are sleeping bags on the ground. However, this is rarely a good idea, even during summer. Sleeping bags provide no protection against the weather and local wildlife. You are also less likely to be comfortable at night. This reflects on your energy levels for the rest of the hike. So, if you love the idea of spending the evening around a campfire cooking smores, telling stories and singing songs, all you need to start is a good quality tent. If you need to weight in the PROS and CONS of owning a camping tent, here is a short list that can help you decide. Camping tents are the best practical solution for longer hikes in all seasons but cold winter. Investing in one will completely change the way you enjoy trails and longer trips in nature. But in order to reap all benefits of your new gear, it’s really important to buy a high-quality product. Buying a great tent for camping isn’t always easy. There is such a diversity of products available that things can get confusing fast. So start by making sure you have all the information you need to make the best choice. When it comes to camping tents, there are a number of things that directly affect the quality and practicality of the product. Such things as fabrics used, durability, capacity, seasonality all need to be taken into consideration. 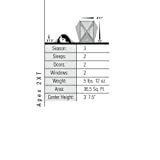 1 What size of camping tent do you need? When deciding what kind of tent you want to buy, start with the basics. Think of the details that are easy to determine without much knowledge about camping tents. For instance, it will be easy for you to decide the capacity of the tent you need, based on the number of people that will sleep in it. Don’t only think of your usual group size. Consider if you might need extra space for friends when you decide on the capacity. Always start from the idea that tent capacity ratings are counted as close fits. If you choose a tent for one, assume that this is going to be a small tent, with little space for movement. If you are claustrophobic or if your measures in either height or weight are above average, you might want to consider a bigger tent. Similarly, if you travel in a group of three but would not want to feel crowded, choose a 4 people tent. You can choose from tents with one or two doors. If you choose to go camping with your family or friends more doors could be the best solution for you. Imagine how uncomfortable it can get for a person to crawl over another just to be able to get out for a breath of air. Two door tents are much more comfortable especially when each door is at opposite ends. 2 When are you going to use the tent? Another detail that is rather easy to decide on is seasonality. Like the name suggests, this feature of your tent tells you what seasons it’s recommended for. These tents are recommended for mild weather. You can use them during normal spring, summer and early autumn. They generally offer more breathability, but not so much temperature control. They are a popular option for peak hiking and camping season, but they don’t do so well in lower temperatures. The extended 3 seasons camping tents are generally modified to offer better thermal comfort. To describe this type of tent in one word, they are built to be balanced. You can use them in early spring and late autumn but manufacturers don’t recommend them for winter. What they sacrifice in breathability, they make up for in warmth. They generally have less mesh panels than the 3 seasons tents, but more poles. Consequentially, they are also sturdier. Usually, more seasoned campers buy these tents. Experts recommend you don’t go camping in winter unless you both knowledgeable and very well equipped. This type of tent is built to provide shelter during the harshest weather conditions. They have more poles and stronger fabric than any other type of tent. 3 How much flexibility do you need? A tent’s structure helps determine if you will need stakes or not to set it up. This can make certain tents harder to pitch and some might even challenge your skills. Nowadays most family tents are freestanding, this means that they don’t need any stakes to be set up. Obviously, fewer poles mean faster installation. They make your tent much easier to move around. Of course, tents should always be secured against the ground to prevent any accidents. These tents require a little bit more work and special attention. In order to set it up, you need to use stakes to create their structure. They are slightly lighter than the freestanding tents but a bit more complicated to install. Some of them have color coded pole clips and corners which make the set up a bit faster. There is a great variety of tent styles shapes and sizes on the market. It’s best to know all the key features you should look at before making a decision. Most tents are made of polyester. This material is lightweight, water resistant and resistant to sunlight. It is very easy to fold and durable. Just like polyester tents, the ones made of nylon are also lightweight and durable. For more durability nylon is usually coated with silicone, acrylic or polyurethane (PU). If you chose to buy a nylon tent make sure the fabric is ripstop because nylon has the tendency to ladder. Usually, most tents have an outer cover and an inner tent for sleeping. While there aren’t many options in choosing the inner tent fabric, you will generally have a number of options for the flysheet ( outer cover). – Dome-style tents. Sturdy and more secure they usually offer a better protection during stormy nights despite the fact that their design reduces livable space. – Cabin-style tents. These tents have high vertical walls offering plenty of livable space. You can even stand up or have room dividers. – Tunnel or hoop-style tents. These tents are great for bad and stormy weather but manufacturers don’t design them as free standing. Also, round shaped walls limit livable space. A tent’s pole structure will determine how easy or hard it is to install. Nowadays most tents are freestanding and the ones that need poles come equipped with color codes and easy to put together instructions. Tent poles are usually made of aluminum, fiberglass or carbon fiber. Aluminum is light, durable and very easy to replace. A lot of modern tents have poles made out of aluminum. You usually find fiberglass poles in light-duty tents. This option is less expensive and less durable. Manufacturers usually use carbon fiber for more expensive, high-quality tents. – sleeves create a solid structure that can resist against the wind. However, installation can take longer and if the tent does not have a proper ventilation system condensation can become a problem. – Clips help you set up your tent easier and faster. You have a better airflow but your tent won’t be very resistant to strong winds. Tents can have double or single walls. A double-wall tent has a rainfly (a separate waterproof cover designed to keep water out and fits over the roof of the tent) and an inner canopy to sleep in. They do a great job in keeping you dry during rainy nights and have a better ventilation. Single-wall tents are made out of a single water resistant fabric. Using only one layer of fabric makes them lighter and easier to install. However, if you choose a single-wall tent, make sure it has a proper ventilation system or the material is breathable in order to avoid condensation. These features can come in very handy especially if you need to hand a lantern inside of the tent or attach a mesh shelf. Interior pockets and loops can help you keep your stuff off the ground and remain organized during your whole adventure. Choose your tent based on your needs. 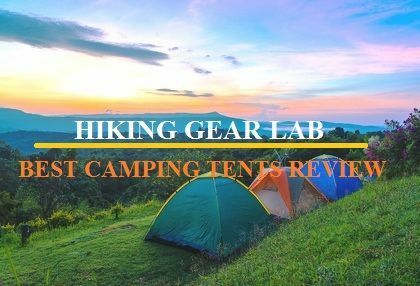 Use this guide to make a clear, general idea of the kind of features you would need to look for when you go shopping for gear.It’s really important that you choose to buy one of the best camping tents out there because it makes all the difference. When you own a high-quality tent you are safer, warmer, more comfortable and can enjoy your camping trips to the maximum. The perfect camping tent looks different for everyone depending on your group size, your level of experience with hiking and camping and the weather in your area. What is really important is that you choose to buy one of the best camping tents out there. The quality of your gear directly influences the quality of your time spent on the trails. When you own a high-quality tent you are safer, warmer, more comfortable and can enjoy your camping trips to the maximum.